If your looking to grab a bargain the DJ Hero Renegade edition on Xbox 360 is now currently $65 on Amazon. 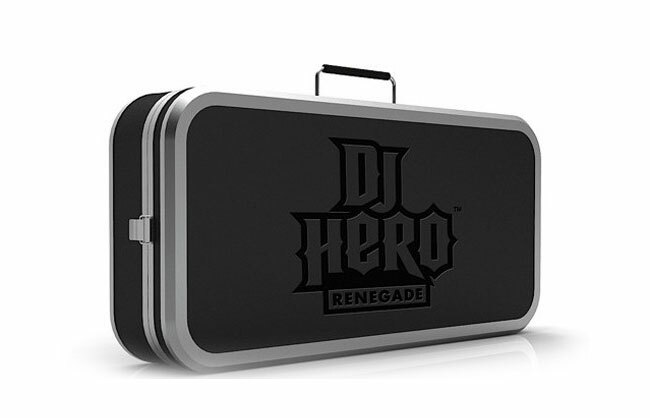 In addition to the DJ Hero game, the Renegade Edition includes a premium Renegade Turntable Controller, hardshell Turntable Carrying Case that converts to a performance-ready DJ stand, and an Exclusive JAY-Z and EMINEM 2-CD pack. Check out the demo video after the jump. The Renegade Turntable features premium metal controllers to help you hit every mix perfectly together with the carry case that transforms in to a DJ stand for your decks.